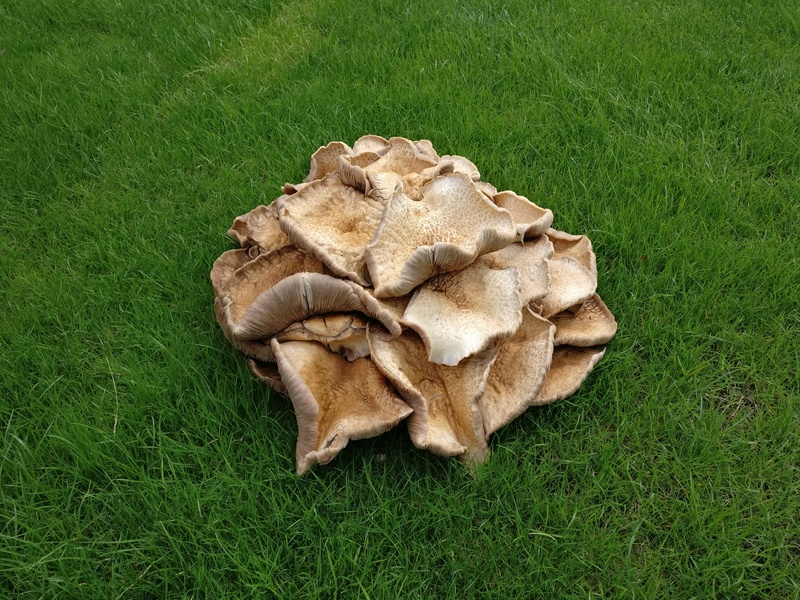 Walking along the Thames Path near Henley we saw this huge fungus. It’s about half a metre across. We’re now sat in a field eating a meagre lunch of a single snack bar each. The pub where we were planning to eat is unable to take cards today, and we have no cash. And there are no other pubs nearby. Or cash machines. So we kinda goofed on that one. Edit: turns out it was a private field. A security guy turned up a few seconds after I published this post, to move us along.